A kindergarten pupil remains missing two days after he was swept away by strong river currents in barangay Ahin in Tinoc, Ifugao. The young boy has been identified as Jaypee Martin Mat-an, 6 years old, and a resident of said barangay. 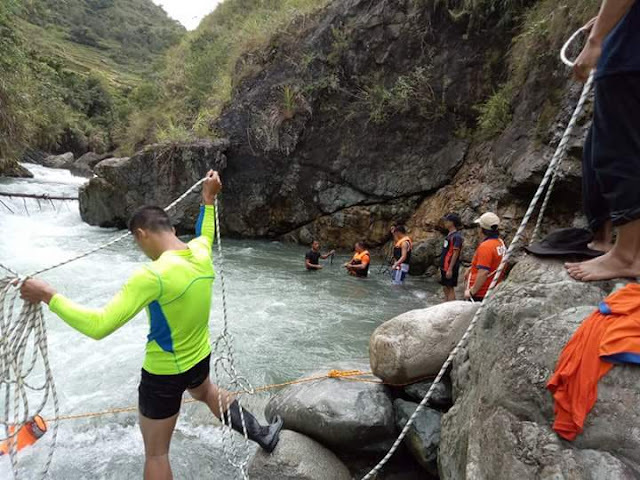 According to a report by the Office of Civil Defense - Cordillera Region, Jaypee and three companions went down to the river to bathe around noon on Wednesday (August 2). They were playing on a huge boulder overlooking the river when Jaypee slipped and fell into the current below. His companions reportedly tried to help to no avail. The children sought help and rescuers immediately scoured the area to try and locate the whereabouts of Jaypee. They weren't able to find him. Search and rescue operations continued on Thursday and Friday. In light of the incident, parents and guardians of young children are being advised to watch over their wards and prevent them from going into the river. It's the rainy season so the river current is usually strong. Furthermore, just a small downpour can cause the river to quickly swell and catch bathers/swimmers unaware.